Casey Callais 11/1/2017 — Through generous donations of used computers over the last year and a half, the Seeds of Learning Managua region has been able to supply the entire teaching staff of of the Timal region with laptops. Last week we held our first ever computer training session open to the entirety of the teachers and directors of the schools. 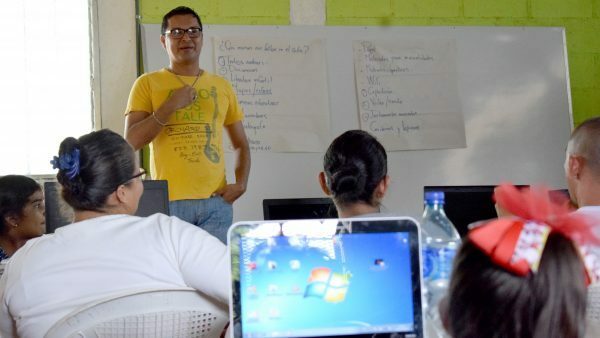 Staff from Villa Japon, El Triunfo, Jicarito and Los Laureles, some of whom did not even know how to turn on their computer, began to learn how useful their laptop can be as a teaching tool. 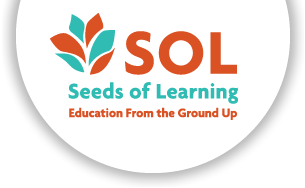 The class was held in the SOL Learning Resource Center in Villa Japon. Despite the power going out right as the show was about to begin, Julian was able to give a powerful lesson for both newbies and experienced teachers in how important computers and the use of internet can be for teaching. 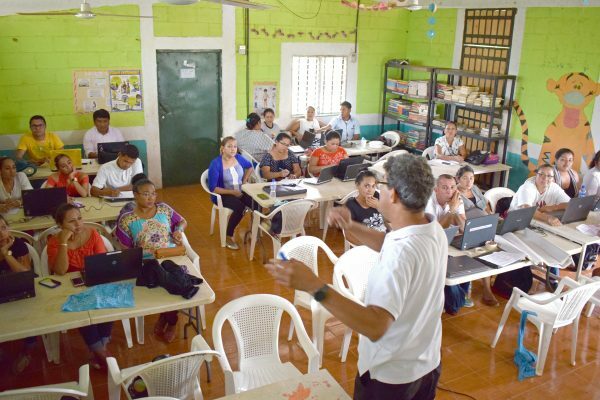 Seeds of Learning Managua region has given out 48 laptops to teachers and directors in the Timal area, starting over a year ago with a select number of professors in Villa Japon. Some of them were able to give solid examples of how their laptops have been game changers in the way their classes work. Professor Miguel, for example, explained how he was able to download Nicaraguan folklore songs and play them through his computer to teach his students the different dance steps. 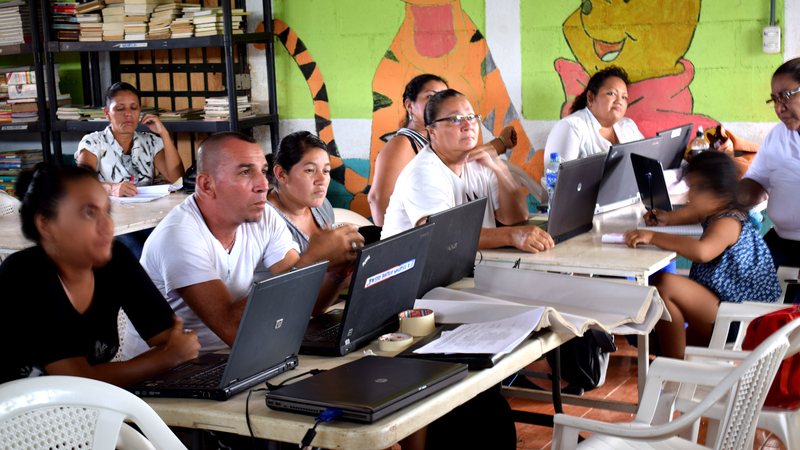 The long-term goal is to be able to equip teachers from all over the Tipitapa area with the tools they need to take advantage of what laptops and internet can provide as teaching aids. We will be continuing these classes step by step, covering more specific topics such as how spreadsheets and presentations can be used in the classroom, as well as internet resources such as youtube and Khan Academy.